Most credit cards these days offer you the power of plastic money along with a host of other advantages to boot. Nonetheless, the question still remains: how to make the most of your credit card? Credit cards have often been reviled as a one-way ticket to debt. However, this is a little unfair because getting into debt is, quite often, your own conscious decision which stems from overspending. Most credit cards these days offer you the power of plastic money along with a host of other advantages to boot. Convenience, simplicity, rewards points, and bonus points are some of the main advantages of having a credit card. Nonetheless, the question still remains: how to make the most of your credit card? Here are 5 ideas that could help you use your credit smartly and prudently. 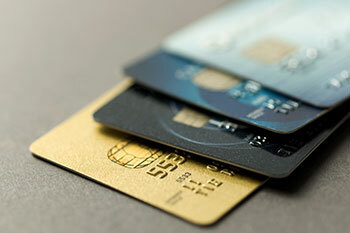 Credit cards are mostly acquired to fulfil a core necessity and your card must primarily be used only to address that. For example, households need to spend adequately on shopping for groceries and daily essentials. There are credit cards that give bonuses and discounts on shopping for such utilities. To consider another example, if you need to drive your car for long distances, then it would cost you a lot of fuel money. Considering the high fuel prices these days, the last thing you want to pay is the additional transaction charge of 2.5% while making a card payment. In this case, you must opt for a co-branded petro card where the charges are automatically credited back to your account. Of course, if you are an avid online shopper, then there are dedicated cards for online shopping which give you extra bonus points. Identify your need and then get a credit card accordingly. This is the cardinal mistake that most people make. While your credit card does offer you the facility of withdrawing cash, you must resort to this only in absolute emergencies. Unbeknownst to most, when you withdraw cash from your credit card at the ATM or at a branch, there is a steep service charge of 3-4% on the value of the withdrawal. However, such transactions are subject to a minimum charge of anywhere between Rs200-1,000. This is a huge cost, not to mention the additional interest cost and GST charges on the withdrawal. It is not worth paying so much for cash and hence, this option is a strict ‘no-no’. As a credit card holder, you often get messages and emails from your bank about accumulated reward points on your credit. Remember, these credit points have an expiry date and if not utilized within a stipulated date, they expire and become worthless. You can, and should, redeem these points either online or at select outlets. This is one of the primary benefits of getting a credit card so make the best of it and ensure that you monetize your points on time. Credit card companies often like to pamper their premium cardholders. For example, banks like Citi, ICICI, and HDFC have special get-together functions and concerts for their premium ‘coral’ and ‘signature’ cardholders. As a credit card holder, this is a great opportunity to network with like-minded individuals and expand your social base. Use these opportunities to network with the right people at a more informal forum. This is an additional benefit that is only available in the very premium categories and sometimes includes access to premium airport lounges. Try and make the best of such benefits. This is a slightly debatable issue. Should you really use your credit cards for all your household purchases? Actually, there are some distinct advantages of adopting this strategy. For example, it is possible to pay for all your household needs through a credit card today. You can then pay the outstanding on your credit card each month. 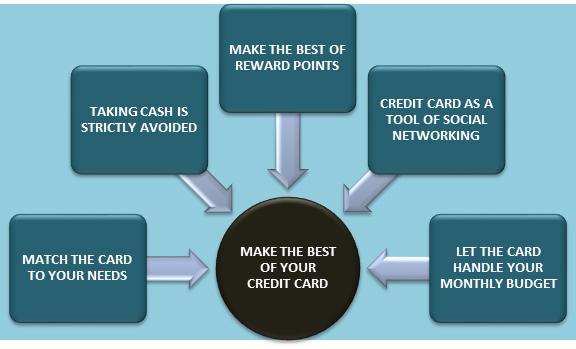 What’s more is that apart from the month-long cost-free credit, you get reward points and bonus points for using the card, get the convenience of having all your transactions in one place, as well as be able to the download the analytics of your monthly expenses from the credit card website. This brings us to the one last and possibly the most widely asked question. Should you pay the full outstanding on your credit card each month or should you rollover paying just the 5% minimum due? The best option, apart from paying your bills in full and in time, is to keep your credit card outstanding at less than 30% of your card limit. This will ensure a good credit rating and help improve your CIBIL score. Moreover, you will also benefit from the lesser interest amount charged on the remaining bill. Don’t fall into the 5% rollover trap because eventually, the costs would be too high compared to the benefits. Pay as much as you can each month. Remember, credit card companies are interested in individuals who take credit but are also prompt with payments because that is how these lenders make money at the end of the day. Just how much you wish to pay over and above the minimum amount when that credit card statement comes due at the end of the month is entirely at your discretion.